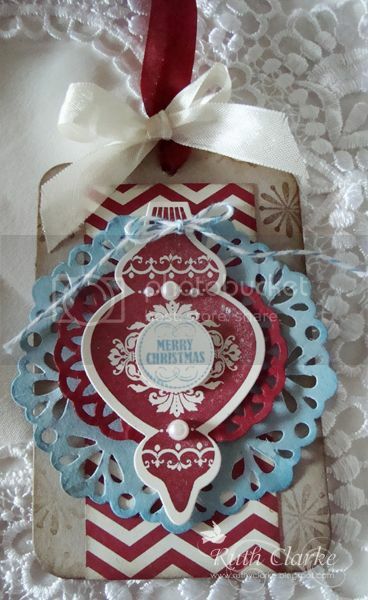 Every now and then one is given a awesome opportunity to showcase ones work and such is the case from a papercrafting forum called Scraplounge. 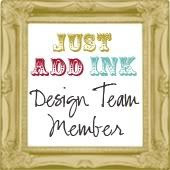 Scraplounge is a place where one can showcase all genera of paper-crafting, have discussions and a general supportive community, it is not a shop as such these days either, but is supportive of all businesses as a community and is carefully head up by the lovely Shazz Pratten. Before Scraplounge became this sort of forum it was formally known as EMM (Every Moment Matters) and it was the first online business to give me a position of a DT. I entered the world of EMM at its very beginning stages too and we grew together in the process. 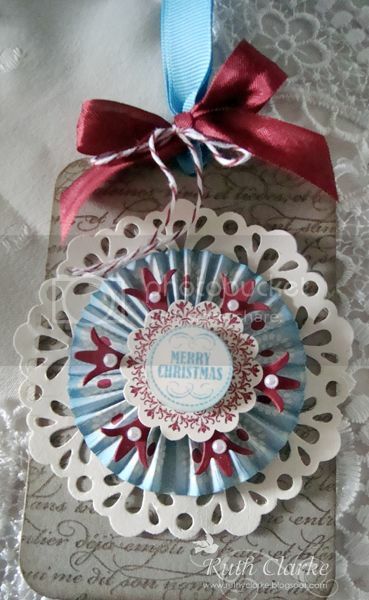 It was and still is a very supportive community of my creative journey, they were part of my many years as a published contributor to all the main Australian Papercraft magazines and I also got support when I became an overseas Manufacturer Designer. I will always cherish the genuine love and encouragement I got from this community of girls and so whenever I'm called upon for a guest appearance I'm only to happy to oblige. 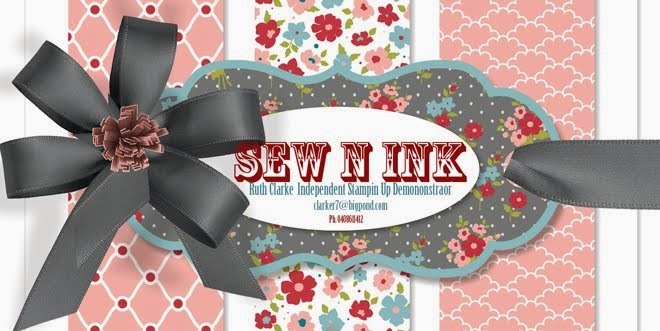 It has also given me an opportunity to share my work as a Stampin Up Demonstrator and the wonderful products they have on hand. 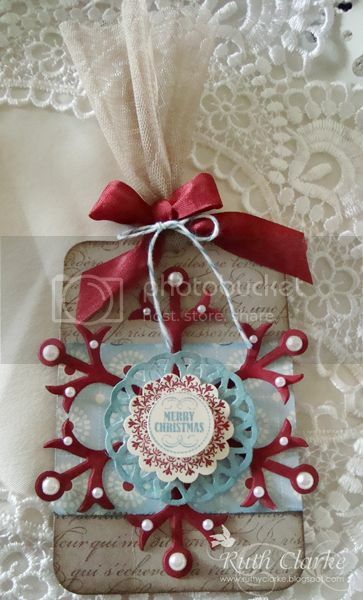 + cardstock and embellishments to create your tags. 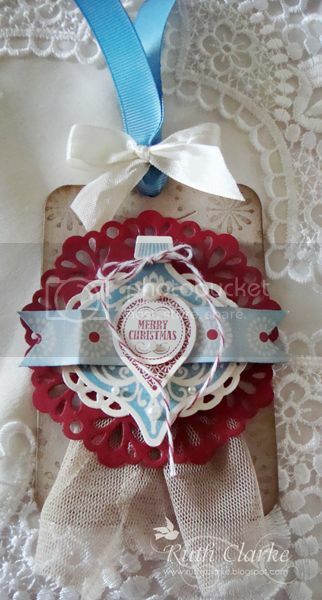 Trim/Embellishments- Seam Binding- Cherry Cobbler, Very Vanilla, Marina Mist Gross grain ribbon, Scalloped Tulle Ribbon- Crumb Cake, Pearls, Bakers Twine- Cherry Cobbler, Island Indigo. 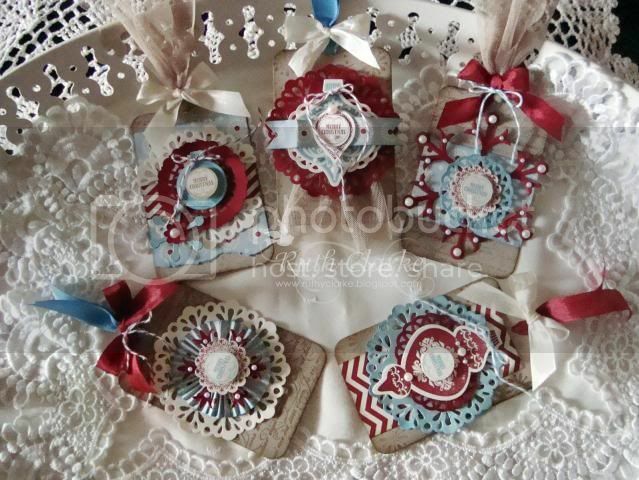 so there goes a share for those who come by my blog and find inspiration here. If you do why not drop a quick line to say hi. 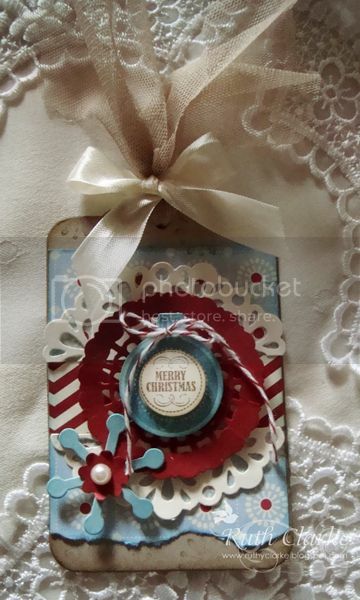 Stay tuned for shares from my recent presentation at Stampin Up's regional event in Brisbane called Heartfelt Event- Bringing the heart back into Christmas was the objective of all presentations and demonstrations held on the day.